YA Bound Book Tours: Blog Tour Kick-Off: Agoraphobic: Inside Out by Sara Secora! Blog Tour Kick-Off: Agoraphobic: Inside Out by Sara Secora! 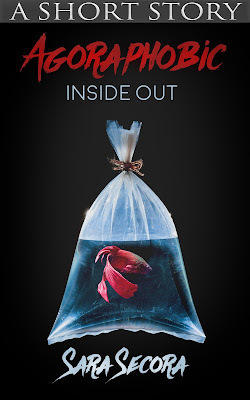 YA Bound Book Tours is organizing a Blog Tour for: Agoraphobic: Inside Out by Sara Secora. This tour will run from March 13th to 17th. Check out the tour schedule below. 28-year-old Kade hasn't been able to make it past his sidewalk in eight years. In this chilling short story, you will be given a glimpse into the inner workings of his mind as he goes through the process of trying to face his irrational, but very real fears. Experience firsthand what goes on in an Agoraphobic's mind and begin to understand the silent disorder that millions of people across the world struggle with. 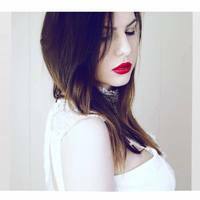 Sara Secora has a passion for all things gamer and nerdy, as evidenced on her YouTube channel, AviGaming. She is also a well-branded voice over artist. Secora has always been in love with writing, and nearly a decade ago, she finally turned her talents to the arduous endeavor of authoring an exciting fantasy trilogy. Her whimsical stories are full of enchantment, mystique, and insight—destined to intrigue readers of any age. Secora lives in Detroit, Michigan, where she continues to explore old and new avenues for her talent and hard work.